NEW WHEELS AND TIRES ARE TYPICALLY INSTALLED ON SITE WITHIN 24 TO 48 HOURS! AJRS partners with the leading insurance companies in America to replace wheels and tires that have been stolen from vehicles of insured policy holders. 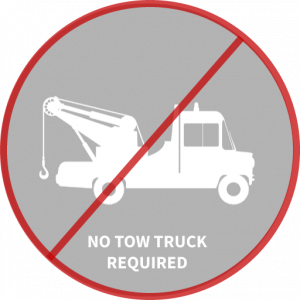 We have a nationwide network of mobile installation teams that handle the replacement process ON SITE in most cases, eliminating the need of expensive tow trucks. Once a claim has been submitted to AJRS, one of our trained claim representatives will collect all of the documents for claim verification, as well as make initial contact with the insured. We understand that the insured policy holders have been through a horrific experience, and our goal is to get them back on the road as quickly and easily as possible. CLICK HERE TO LEARN MORE ABOUT THE REPLACEMENT PROCESS.